Hey there, my name is Ellen. I was born and raised in Michigan and am proud to call Detroit my home. I began my college career out in Chicago at the Illinois Institute of Art as a Fashion Design major but quickly realized my heart belonged back in Detroit. I made the decision, after a year in Chi town, to transfer to CCS where I began to pursue my career in Advertising Design. PUSH 22 offered me the opportunity to come and get my hands dirty this summer with their team to create some great work. So far, one of the nicest things about my time here is the size of the agency. It has given me the chance to collaborate with the team to help develop campaigns while assisting with current client work, along with other agency jobs. I have been able to see the process of how an agency operates and what it looks like when everything is created in-house. It's great to know everyone you're working with to develop ideas, create designs, and communicate with the clients. PUSH 22 truly offers a hands-on, real world, internship experience with a great agency culture. I haven't been at PUSH 22 for long but I know my knowledge and experience will continue to grow the longer I'm here. I look forward to the campaigns and projects I will have the privilege of working on, along with the relationships I will build at this agency. Please keep up with my journey this summer at PUSH 22! There are more cool things to come - good insights, agency updates, and tips and tricks to surviving as an intern at a digital agency. Speaking of tips, here's a good one for all of the interns out there: Get involved. Get your hands on as many projects as possible so you can learn new things. The people you are working with have been in this business longer than you and they have more experience. LEARN FROM THEM. Also, offer your help when you're not working on projects and never say, "that isn't my job." 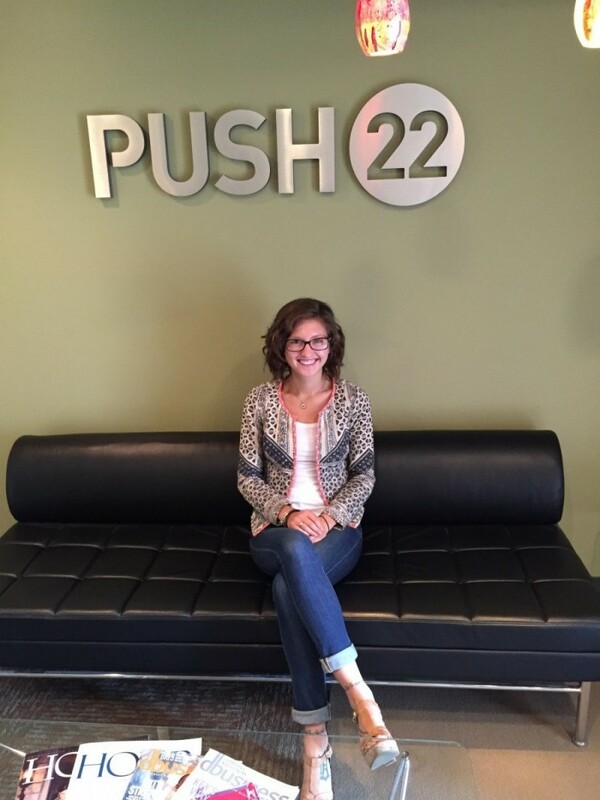 Stay turned for more secrets of a summer intern at PUSH 22!